(BOWIE, Md.) 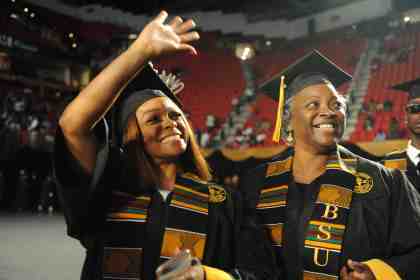 – Eunique Jones Gibson encouraged nearly 750 Bowie State University graduates in her spring commencement address to chase their dreams and celebrate each achievement as they pursue excellence. View the livestream video and photos of the day. 1. Take time to celebrate your wins before you rush out to create another one. 3. Commit to the risk. 4. No matter what, always make excellence your goal. 5. It’s bigger than you. 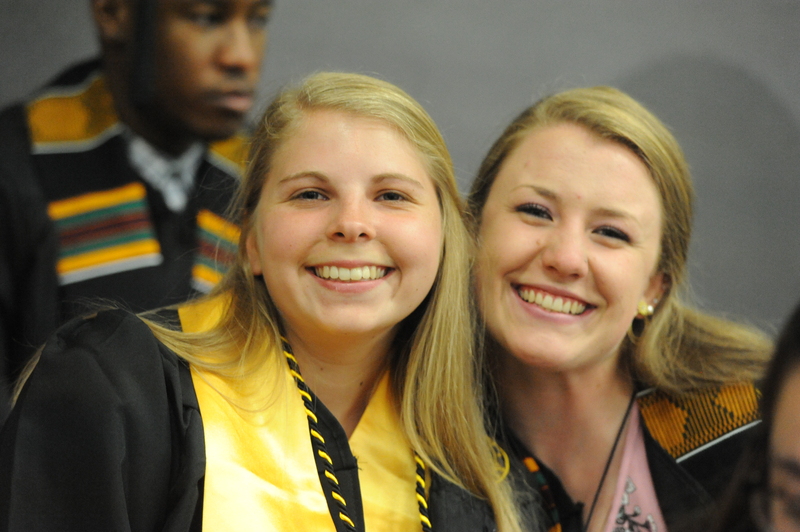 Ninety undergraduate students graduated with Latin honors for achieving a 3.5 grade point average or better. Among those students, three students achieved a perfect 4.0 GPA: Second Lieutenant Diego Bakhos (communications major), Emily Lewis (early childhood education major) and Veera Pfaffli (visual communication and digital media arts major). Among the 193 graduate students who received degrees were six doctoral students – two in the Doctor of Science in computer science program and four in the Doctor of Education in educational leadership program.